Last week, I was given the opportunity to attend the Grupo Penaflor Winemaker Dinner which took place at Pampa Brazilian Steakhouse in downtown Calgary. I had never been to this restaurant before, and I was excited to check it out! Hey, anything that has steak in the name is a winner in my book! We had a slightly different dinner than the norm of what is served, but it was all to perfectly pair with the wines we were there to taste. While known for the interactive “Rodizio” dining experience, Pampa chef and owner Joao Dachery also excels in dishes from the different regions of the country. We will be treated to an indulgent plated six-course meal, and hear from Juan Ignacio about the six superb wines that complement it. I arrived at 6pm and was greeted with a welcome wine. It did NOT disappoint. I tried the white wine that was also being offered, but much more preferred the red as I waited for the dinner to begin. It was a pretty odd feeling at first for me to be there by myself, but I knew once the wine got flowing it would be a lot more interactive with the other guests in attendance. PS: I didn’t drink the entirety of all my servings because I was driving home. And I managed to drink about 3 liters of water as well over the course of my almost 4 hours there. The inside of the restaurant is big and open. I would love to come here again to enjoy the ‘normal’ dining experience and sample wines from their menu. We were going to be treated to six courses. SIX. Cheese bread was being passed around the reception area and although I didn’t want to spoil my dinner, I had to test one out. I could have eaten a plate full of those alone. The tables were arranged in a square and each side was a designated team for a variety of wine-related games. Winners were to receive a special treat at the end of the meal, and my team was quick to start on winning! After a brief introduction by the organizers of the experience and another by the wine representative, we started with the first course: small bites of beef carpaccio, mango chutney prawns on papa toast, and a twist on the classic empanada. I opted out of the prawn. It was paired with OPI Chardonnay that was so light and tasty I would have never guessed it was a chardonnay! Notes on this wine: The grapes for this are harvested far from the coastline. Typically, vineyards are located along the coast and this particular vineyard is so inland that it does not get the ocean breeze or any other normal factors you’d see in a coastal wine. At this point, I either wanted a whole plate of this to myself or for the second course to come out immediately because I was HUNGRY. I have the hardest time with patience when it comes to multiple-course meals. Our second course didn’t sound as appetizing to me from reading the menu, but holy moly was it ever delicious: mini marinated leg of lamb skewers with Pampa mint sauce and coconut milk mashed potato. It was paired with Don David Malbec which ended up being my favorite wine of the evening. Notes on this wine: The presenter talked about how this was from the highest vineyard in the world located in the northernmost part of Argentina. The atmosphere then gives it a completely different tasting profile than other malbecs. SO GOOD. Also, I am definitely making mashed potatoes with coconut milk from now on. Mind= blown. The organizer gave us another tidbit on wine with food: chew on herbs to get a completely different taste out of your wine! We all then chewed on the rosemary spring from this dish and agreed the wine came off so different…much more delicious! Our third course was my favorite from the evening. (hint: because there’s bacon involved): chicken thighs wrapped with bacon and charcoal roasted with arugula, warm red wine vinegar and potato polenta. This was paired with PAZ Cab Sauvignon/Cabernet Franc. It was my second favorite wine of the evening and also complemented the dish well. Notes on the wine: PAZ means ‘peace’ and the winemaker created this with the intention of drinkers enjoying the wine with good company. (Check!) It tasted of blackberries and very herbaceous. We were treated to 2 oz of each wine for the evening and I found it entertaining to watch the woman go around the table with multiple bottles to pour! Several attendees lucked out with a top up, but I politely declined since I was driving. The fourth dish was my least favorite, only because I am not a seafood fan. There were some great flavors in the other parts of the serving, but I savored my wine instead. We had: sausage with calamari, chickpeas, and croutons. It was paired with Ciclos which is a 50/50 blend of Malbec and Merlot. It was my least favorite wine but I am attributing that to it being paired with my least favorite dish. Our fifth course: rump steak with manioc flour and chimichurri. Whoa, this dish was so different to me and I LOVED it. The chimichurri had a good amount of heat to it and the ‘flour’ as explained by the chef, was intended to create texture. 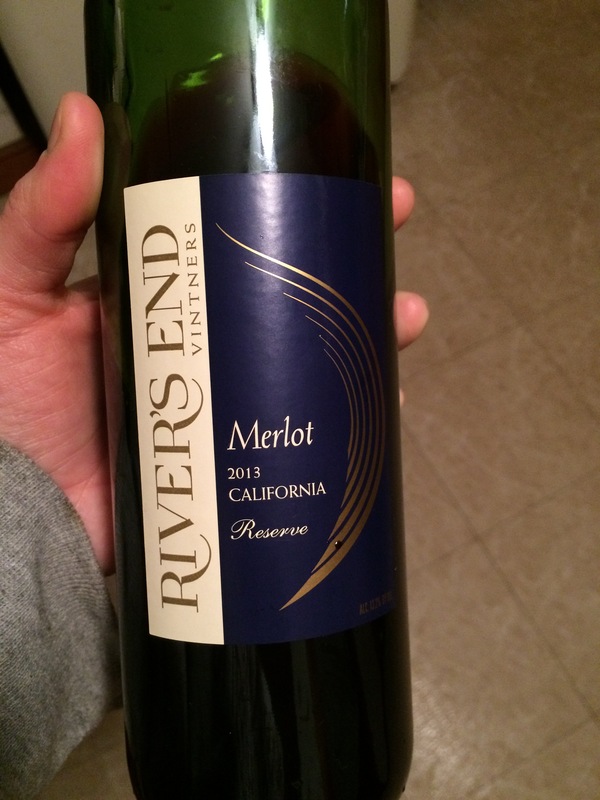 I really enjoyed this and the spice made for the corresponding wine to go down pretty easy. Notes on the wine: We were served Unanime which was a bordeaux blend comprised of 3 different varietals. It had lots of tannins which played so well with the steak. For dessert we had passionfruit mousse with blueberry malbec reduction. Usually, I only want to have a chocolate inspired dessert, but I later discovered that this was the perfect ending to a meal paired with the variety of accompanying Argentinian wines. I appreciated that it was only a small plate, too. I could have eaten my weight in this! Somewhere between courses 2 and 3, our team managed to complete one of the games and were pleasantly treated with shots of some sort of liqueur. I couldn’t hear exactly what it was, but it had been frozen in a block of ice for 2 days and is expertly poured from 6 feet in the air. I barely touched my lips to this because I didn’t need any more alcohol, and found not only was it of a syrupy consistency, but it tasted like toasted bananas…I think. Either way, it was a fun experience to watch how it was served! I left the meal happily stuffed. Is there really anything else that needs to be said? The experience was so nice and I am intrigued to return to Pampa another time with Tyler to get the typical dining experience. Have you been to Pampa? Tried any of the wines mentioned above? Friday: Pancakes. Duh, I know. I love them so much. This week they’ll probably be green because I’ve got a huge container of spinach sitting in the fridge. Hope they turn out ok! After quickly squeezing in a workout, walk with the dogs and a shower, I met up with Jen for an afternoon industry tasting session of Winefest. It was a pretty neat session since it was FAR less crowded than normal. We were able to chat with many of the vendors and learned a few things. And drank wine. Mmm, wine. Saturday: I didn’t sleep a wink the night before, so the morning was a rough go. (More from the lack of sleep than from the wine. I feel so grown up?) Tyler made a delicious breakfast and I ended up napping on the couch..then being a couch potato for most of the rest of the day. Remember when I thought I killed my computer? We ordered a replacement before determining the existing still worked. So- we sold the old computer and I got to open the new one! Even though it’s exactly the same, it’s a bit exciting. Although now my pictures are all backed up on a separate hard drive and I’m dreading having to sort through them eventually. And my child loves cheese. I gave Wes a quick bath while Tyler brought his mom back to the airport then quickly hopped in the car to head to Winefest AGAIN. Sunday: With Wes being on a 1-nap-a-day kick, he has been going down a lot earlier each night, but also stirring a bit earlier in the morning. I got him out of his crib at 7:15am and he actually fell asleep on me for an additional hour! I would have loved the extra sleep myself, but I sat there and soaked up the giant baby cuddles. Tyler requested waffles for breakfast which I was all to happy to make! They had to be vegan waffles because we ran out of eggs. It took a lot of willpower for me to not eat any of the leftovers and store them in the freezer for a future last minute breakfast. A good order of operations: make breakfast BEFORE scrubbing every inch of your bathroom clean. Man alive do bathroom gets gross or what? I was on hands and knees getting behind the toilet and everything. Nasty. After Wes’s nap, we opted to head down to the Foothills Hospital Home Lottery home.We bought a few tickets for it this year, and needed to check out our potential new home 😉 This is the first year that we actually really liked it! Every room was pretty darn awesome. Since the house is on an island, we had to take a shuttle. Wes was a trooper the entire time! Before dinner, I was about to take the dogs for a walk and noticed Layla’s tags were missing from her collar. I ended up taking them on the same route as the day before to see if they had fallen off anywhere, but no luck. I took them for another walk after dinner to just unwind and go at a decent pace since it was them dark and no sense trying to look for the tags then. Ok, I’ve done about 300 loads of laundry today, most of the house is clean, and I’m wiped. Hope you had a great weekend! Hey there, friends! 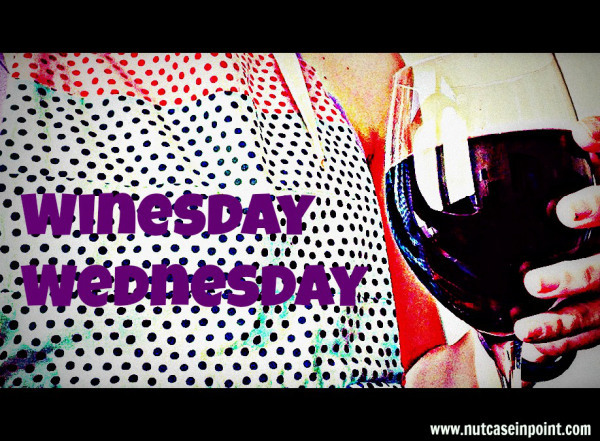 Happy Winesday Wednesday. Again this week I have nothing new to share- it’s lame.